25th March remains etched in Dr. 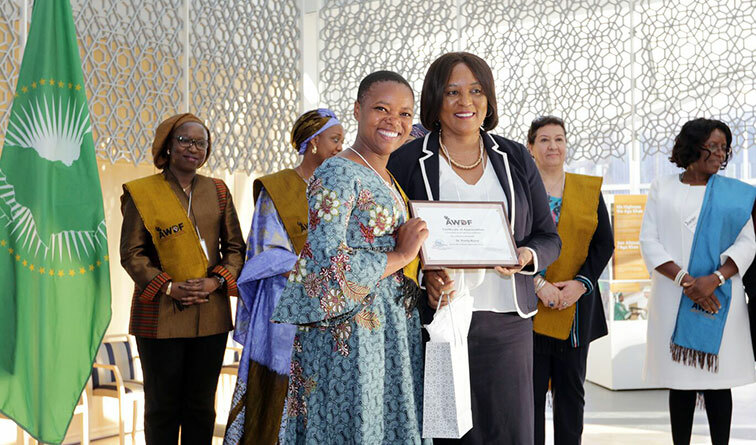 Purity Ngina’s mind as she was one of those celebrated for their great accomplishments at a seminar held by the African Women Diplomatic Forum in Ottawa Canada. Other Kenyan women celebrated were Prof. Sheila Akoth, the first female Mycology Professor at the University of Nairobi, Elizabeth Marami, the first female marine pilot, and others. “Honestly I felt humbled, and happy at the same time for being chosen to speak for women in STEM, it was overwhelming and for many reasons I consider this the best experience ever” said Dr. Purity Ngina, Lecturer, Strathmore Institute of Mathematics. The seminar themed: Women in STEM in Africa: Challenges and Opportunities, sought to understand what is currently happening in the field of STEM and how different governments can help ensure more women study STEM. Some of the discussions emphasized the importance of addressing the “leaky pipeline, the glass ceiling”, the current gender disparities and whether or not the arts should be included in STEM: Science, Technology, Engineering, Arts and Mathematics (STEAM). The young scholars were also enlightened on different funding opportunities for women in STEM available from governments, industry and international organizations such as WHO, UNICEF, WTO, UNESCO and World Bank. The scientists were encouraged to take the initiative and research on available funding opportunities. The scientists were also encouraged to embrace entrepreneurship as a way of creating jobs and enhancing innovations in STEM. On her return, Dr. Purity Ngina is full of zeal to put her lessons into practice. She is currently in discussions with her peers at Strathmore University to begin an association for women in STEM. Other than becoming a professor – one day – Dr. Ngina wants to walk with many young people to achieve their dream in STEM and for that reason, teaching remains the reason she wakes up every morning.